This item can be custom-made in other fabrics or leathers. Simple and classic, our Otis leather swivel chair is a modern version of the classic tub chair. Featuring a smooth-gliding swivel in a compact design, Otis is an inviting chair that looks great in pairs. Discover if this seating will be comfortable for you. For a scale of soft to firm, this product rates as firm seat comfort level. For a scale of shallow to deep, this product rates as medium depth seat depth level. For a scale of low to high, this product rates as high seat height level. Leather Description: Urbino's consistent color allows its plump, pebbled grain pattern to become its prominent feature. Tumbled for long periods of time to achieve an exceptionally soft feel, this stain and scratch resistant leather maintains its even, low-shine look over time. Made to the same high standards as all of our furniture, each one of our upholstery frames is built to last. We use kiln-dried, engineered hardwood in all of our upholstery frames. 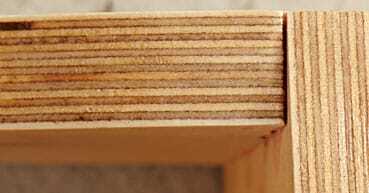 Often used for structural beams, engineered hardwood is made by pressing thin layers of solid wood together. Kiln-drying removes moisture, minimizing seasonal expansion and contraction. This stable hardwood material resists warping and cracking for lasting durability. 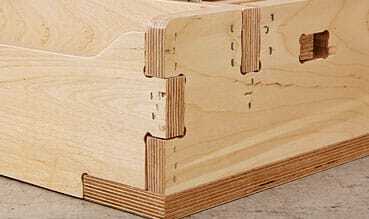 We reinforce every joint in our frames for added stability. Precision-cut parts interlock like puzzle pieces and are reinforced with eco-friendly glues, screws or staples and corner blocks. Reinforced joinery ensures your seating holds together, even with years of frequent use. A webbing suspension is made by interweaving strips of nylon material to create a resilient platform. The elasticized webbing is securely attached to the wood frame with staples. Webbing suspensions are ideal for thin-profile styles that require maximum support in minimal space. See how to measure your home's doorways, hallways and stairways so you can be confident your new furniture will fit.